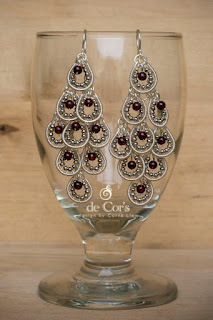 Grapes Hollowed Out Chandelier Earrings Tutorial is now available for download at de Cor’s Handmades official website. It's Christmas and I thought I'd make something more... erm, happening? Hehe. 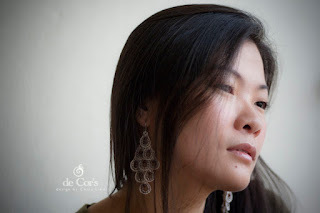 How have you been, dear readers? I know I haven't been posting, work had been crazy and it's been a long time since I've ever wanted a holiday get away so badly, good thing is the holiday is approaching, and then I will be out of country this month and next month. :) Can't wait. 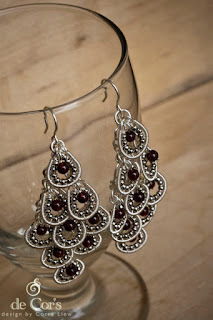 So here, the new pair of earrings photos to be added to my Handmade Wire Jewelry Gallery - Handmade Grape Hollowed Out Chandelier Earrings. 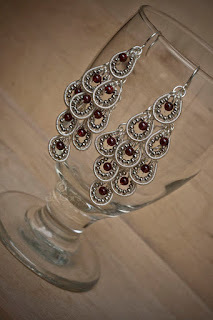 Inspired by a pair of earrings I've ran into while doing window shopping, which, have a soldered-wires' backbone, I've made mine with purely wires without soldering (okay okay, it's me, I don't know how to solder, YET! 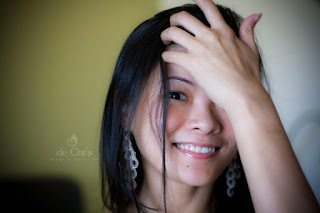 :P), thank you anonymous for inspiration! All I can say is - the design is not hard to make, just tedious. 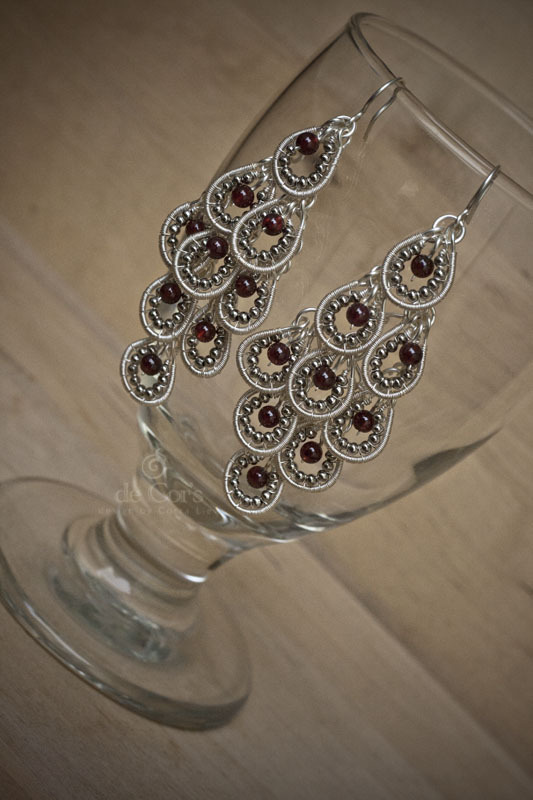 Earrings measure 7cm tall and 3cm at it's widest measure, weighing 10.6gram. 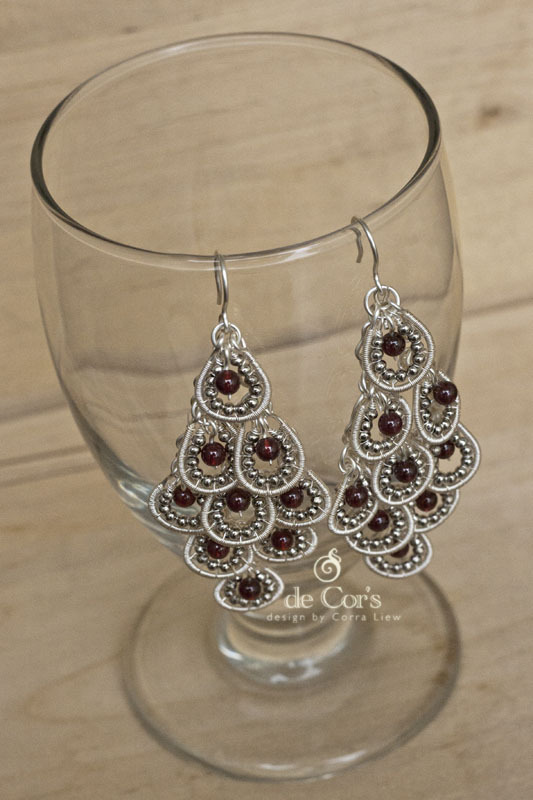 Silver wires adorned with silver round beads and round garnets. 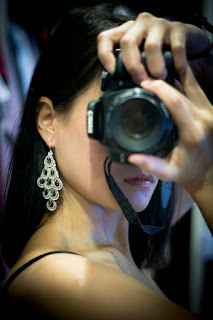 Self-portrait: Me and the new Handmade Wire Jewelry - Grape Hollowed Out Chandelier Earrings. 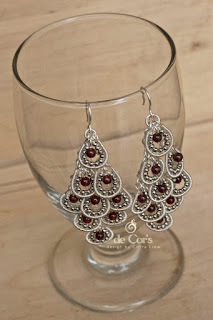 That's all for now, and before you leave this blog, remember to check out the $1 Christmas Promotion for Step By Step Wire Jewelry Tutorials Packages offered by 6 different lovely designers. These are divine! Merry Christmas, Corra! Have a lovely vacation!